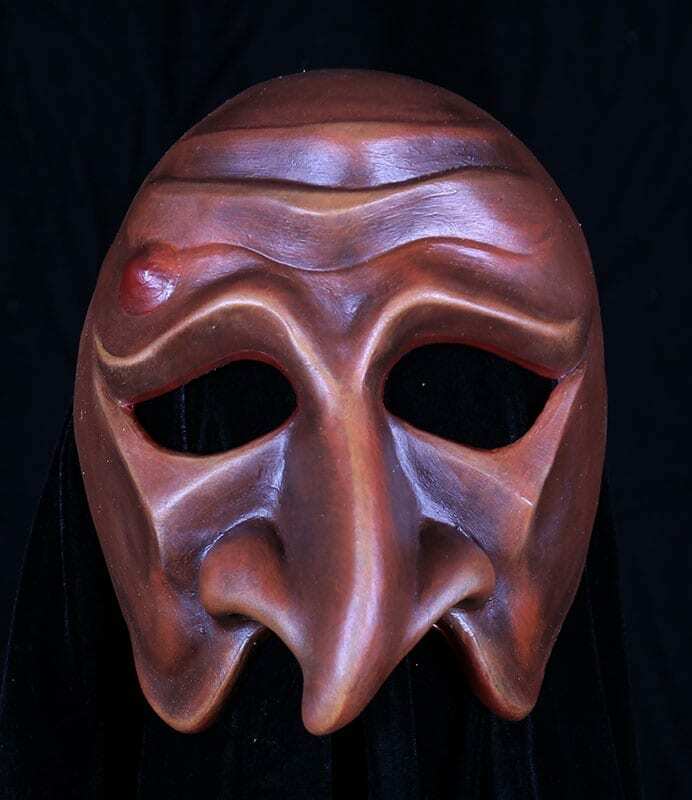 Pantelone Idiota is the newest Pantelone mask design in the collection. This mask is a combines severity and complete idiocy in the structures of the mask. This version presents the old miser of the Commedia as a “Savant Idiot”. As usual Pantelone proceeded as the manager of all affairs and the guy at the top. He claims knowledge he does not have, education never achieved, expertise never gained and simply believe he is the biggest winner. Give him a bad toupee or ask to have him painted orange and he could run for president. As with all the Commedia masks in the collection this mask has an adjustable strap and is padded at the back for comfort and a good fit. Buy mask Now and run for president!